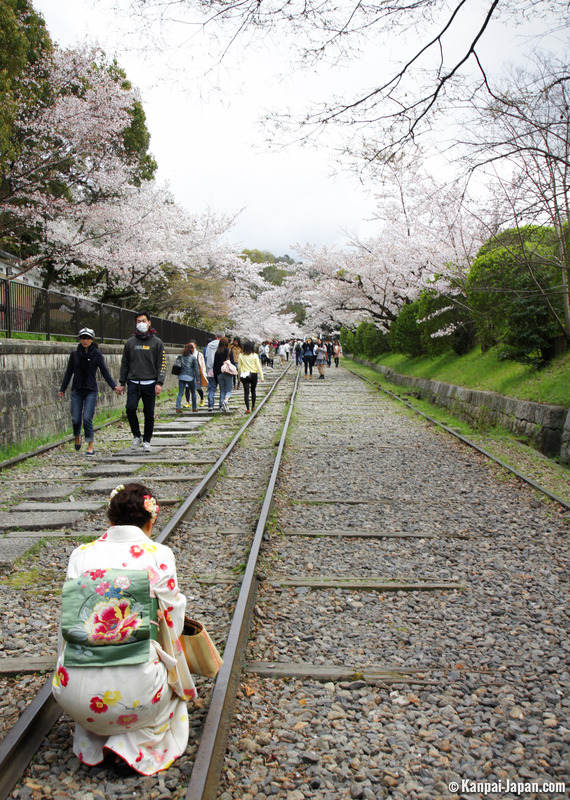 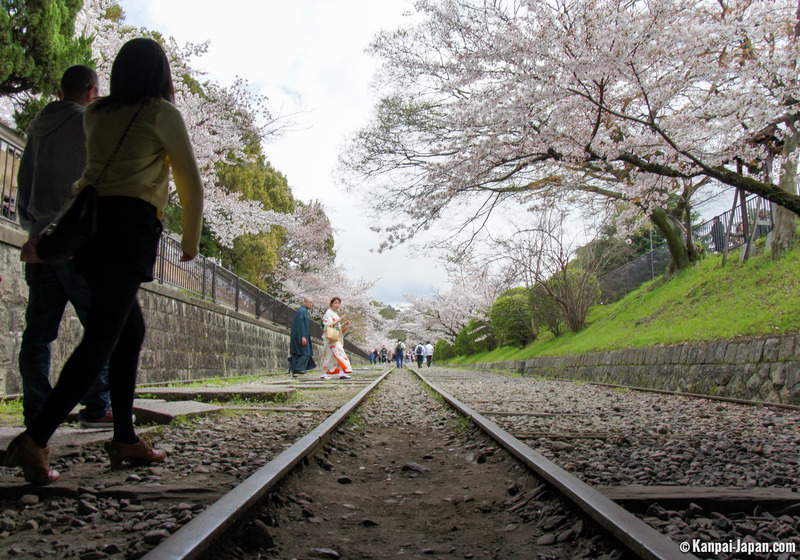 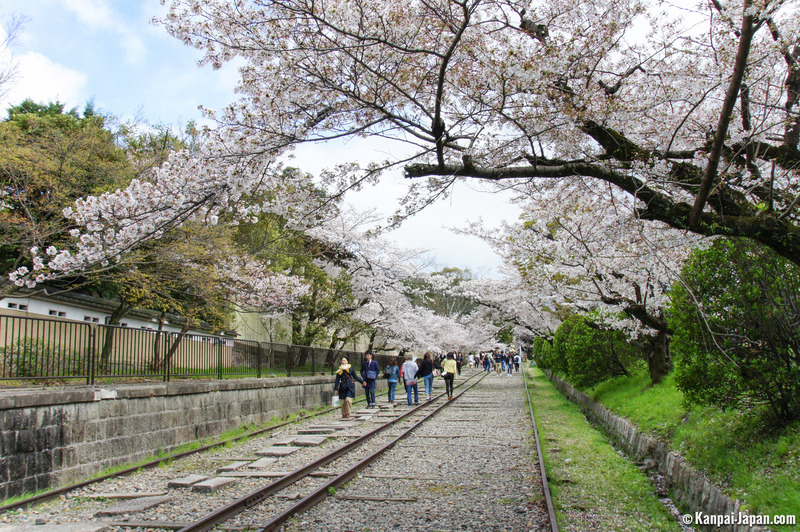 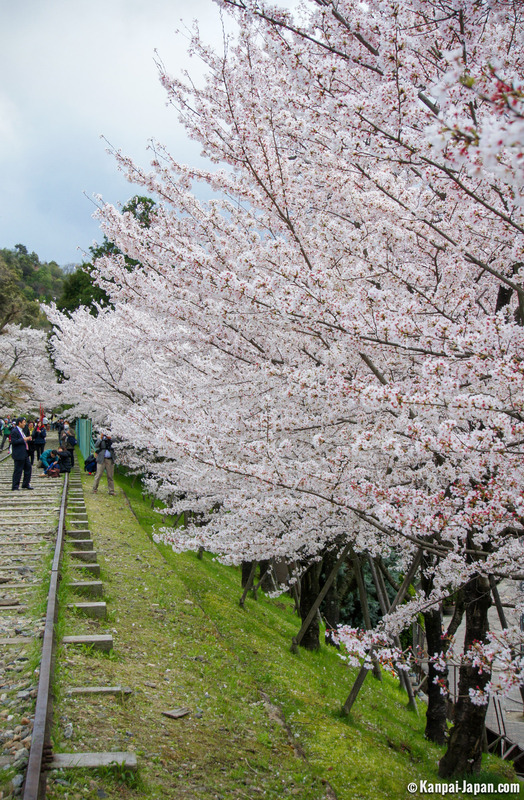 Keage Incline is a former railway converted into a gently sloping pedestrian trail lined with sakura (cherry trees) that links Lake Biwa Canal to Kyoto’s Kamo River. 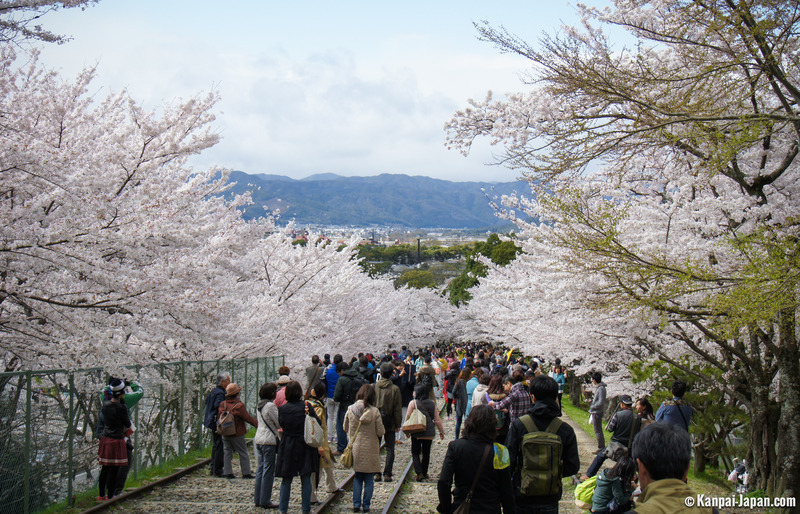 Very crowded during the blossom season in spring, visitors can access the trail by public transportation or by walking along the canal starting behind Nanzen-ji Temple and its aqueduct. 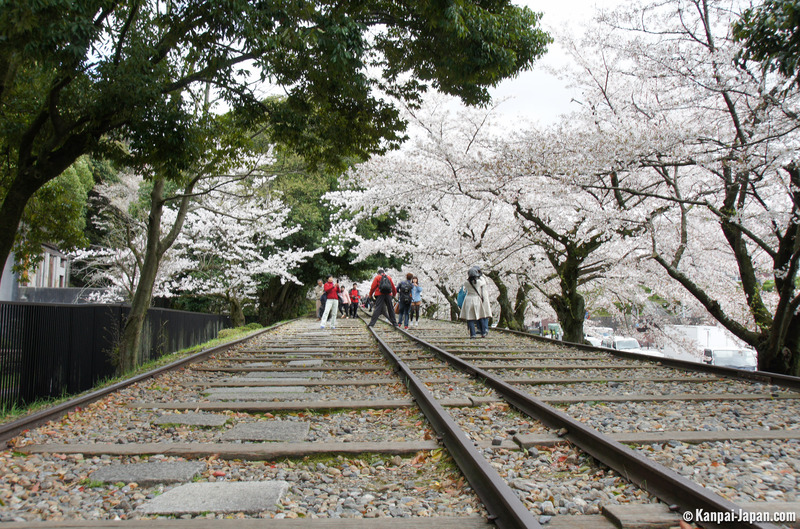 The quest for sakura spots in Kyoto leads to discovering Keage Incline, and while the place remains very touristy, it is quite hidden from Western guides. 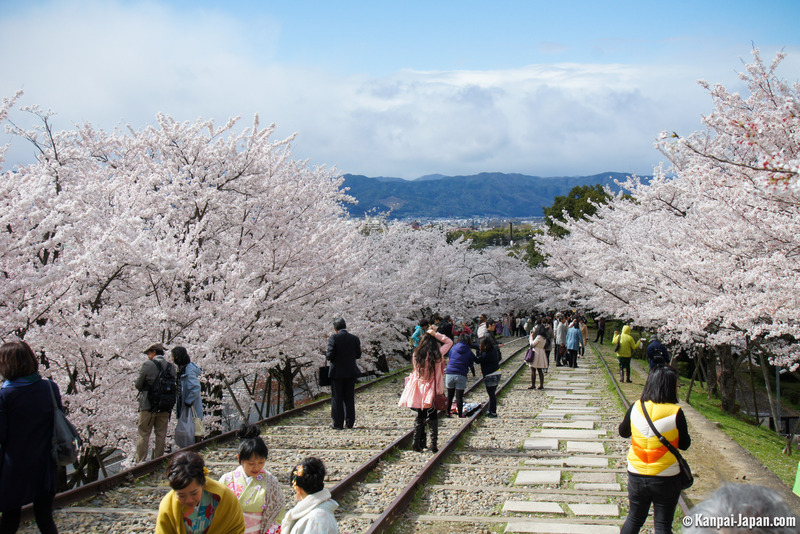 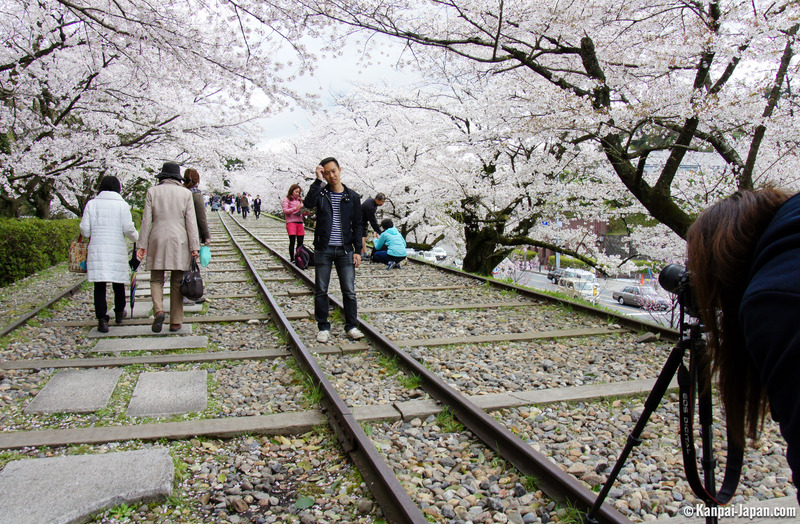 On the other hand, we can find a lot of Asian visitors enjoying one of the best places in the city to see like a cherry blossom tunnel that cover the railway tracks. 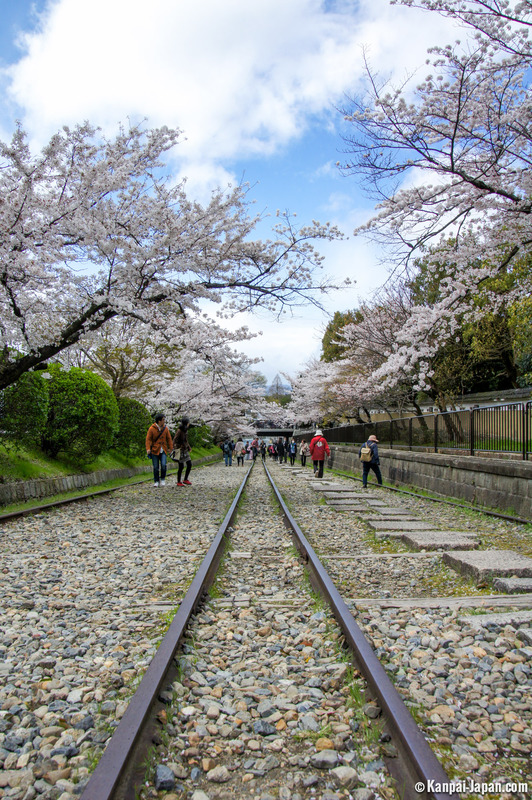 The origins of this historic railway are not uncommon. 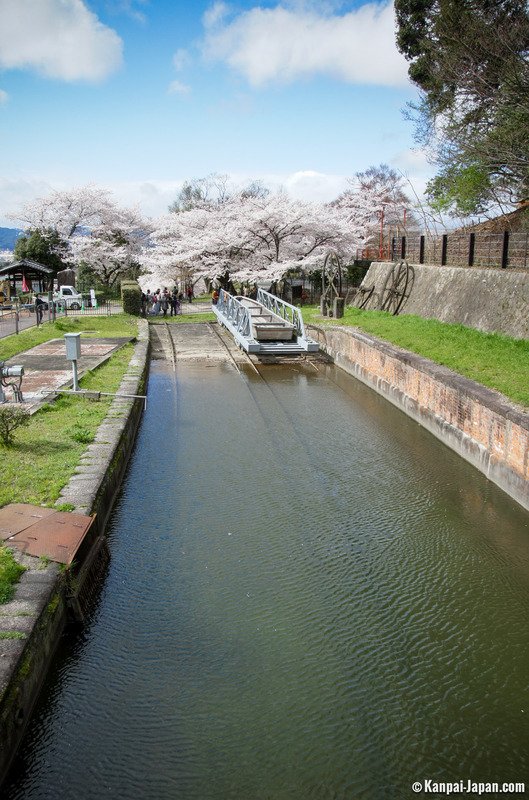 Facing an industrial and demographic downturn during Meiji Era, Kyoto built 琵琶湖疏水 Biwako sosui, Lake Biwa Canal, to transport drinkable water, merchandise, and passengers from the eponymous lake to Kyoto. 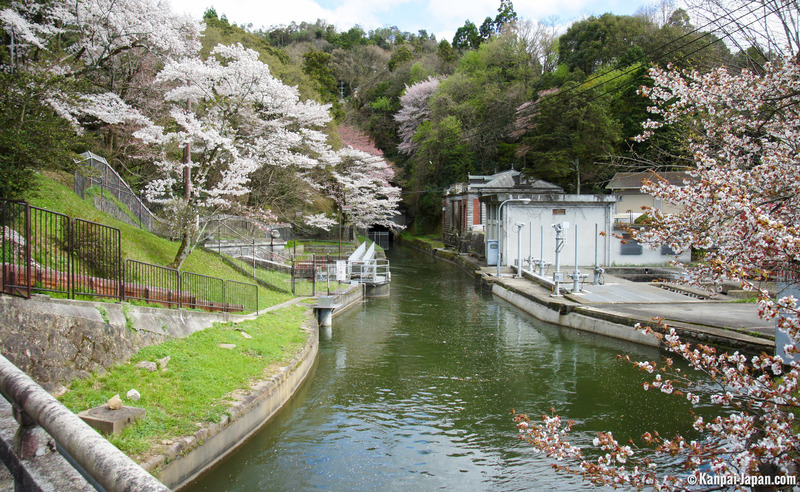 As early as 1895 and for decades thereafter, it fed Kyoto with electricity from its tramways thanks to its hydroelectric generator. 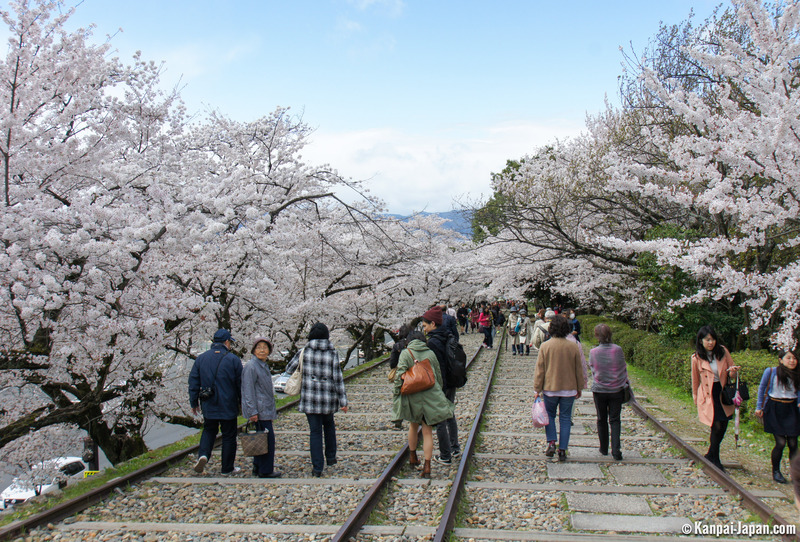 Keage Incline simply serves to connect Lake Biwa Canal to the famous Kamo River. 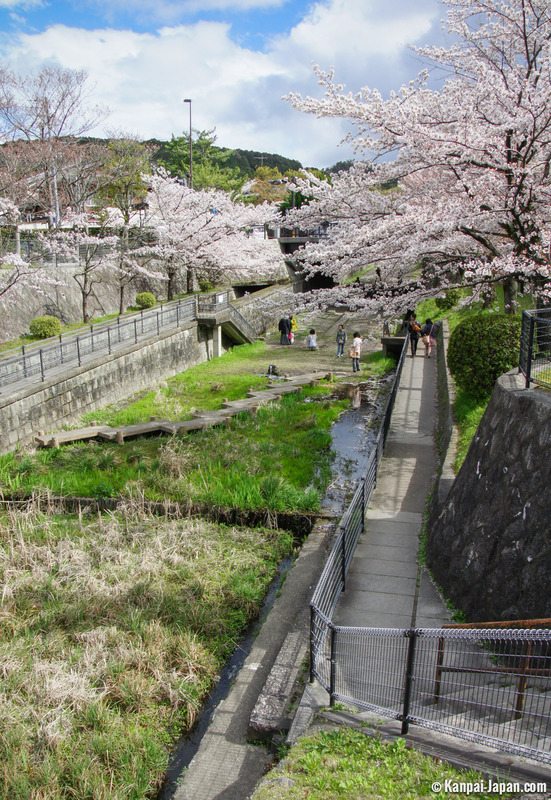 Thus, this inclined plane, which is 22 meters wide and more than 600 meters long, was built by human hands to compensate for the 36-meter height difference between the terminus and the dam. 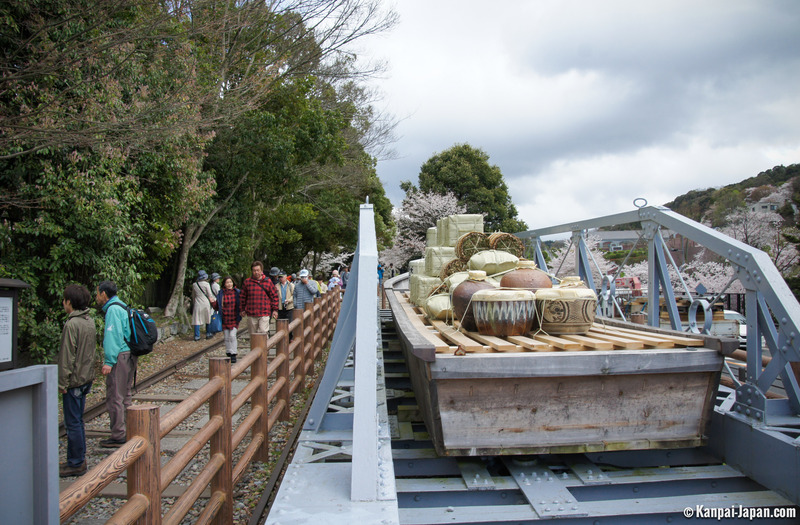 Used between 1891 and 1948, it was functional for boat transportation thanks to the cars settled on this 15° slope. 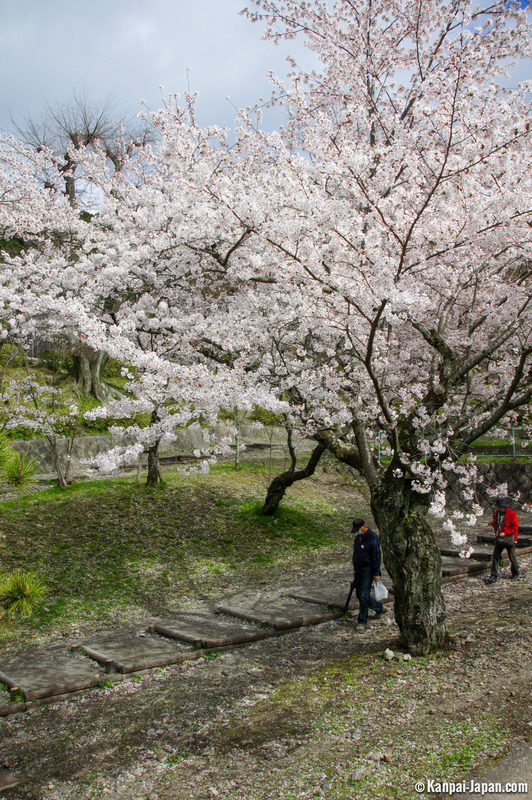 Today, the place designated as National Historic Site is heavily visited during the spring by locals but also travelers who, usually careless of its historic origin, come to contemplate the splendid scenery of the 90 somei yoshino sakura blooming. 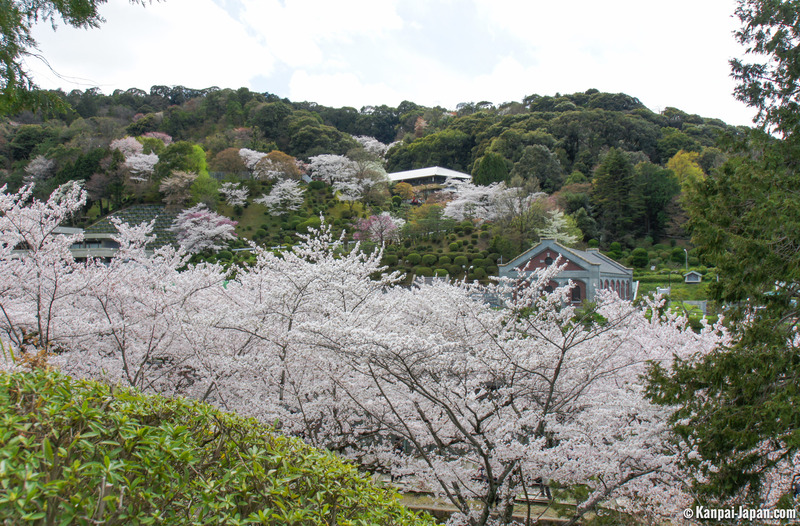 During peak season, usually the beginning of April, the cherry trees light up when the sun sets. 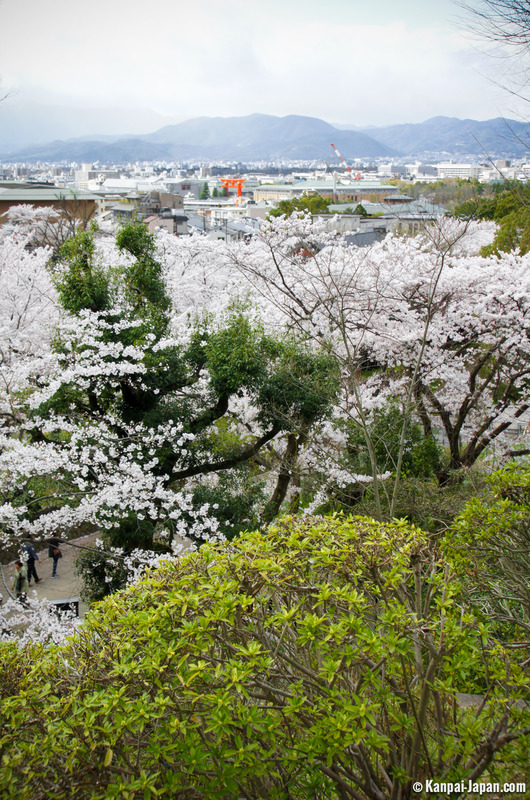 From the top of the slope, we can even see Kyoto’s roofs before continuing the promenade along Okazaki Canal or Nanzen-ji temple.